MS has long been characterized as a disease of the brain’s white matter, where immune cells destroy myelin—the fatty protective covering on nerve cells. The destruction of myelin (called demyelination) was believed to be responsible for nerve cell (neuron) death that leads to irreversible disability in patients with MS. This new subtype of MS, called myelocortical MS (MCMS), was indistinguishable from traditional MS on MRI. The researchers observed that in MCMS, part of the neurons become swollen and look like typical MS lesions indicative of white matter myelin loss on MRI. The disease was only diagnosed in post-mortem tissues. The team’s findings support the concept that neurodegeneration and demyelination can occur independently in MS and underscore the need for more sensitive MRI imaging techniques for evaluating brain pathology in real time and monitoring treatment response in patients with the disease. Despite having no typical MS lesions in the white matter, MCMS brains did have reduced neuronal density and cortical thickness, which are hallmarks of brain degeneration also observed in traditional MS. Contrary to previous belief, these observations show that neuronal loss can occur independently of white matterdemyelination. 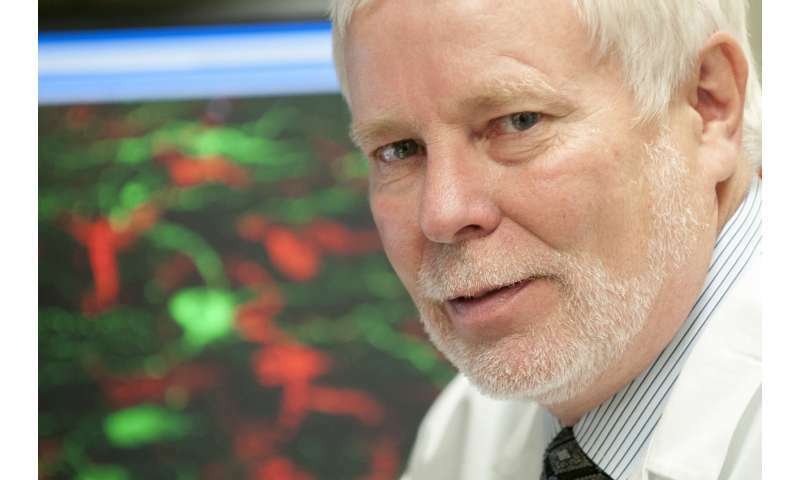 Dr. Trapp is internationally known for his work on mechanisms of neurodegeneration and repair in MS and has published more than 240 peer-reviewed articles and 40 book chapters. He also holds the Morris R. and Ruth V. Graham Endowed Chair in Biomedical Research. In 2017 he received the prestigious Outstanding Investigator award by the National Institute of Neurological Disorders and Stroke to examine the biology of MS and to seek treatments that could slow or reverse the disease.. Experimental blood test accurately spots fibromyalgia.